We’ve written about being productive while doing your nursing duties, how to increase your pay, about male nurses, the importance of education for nurses, and more. Our team is constantly churning out great resources to help you in your career, job search, and health. However, are you aware of our wide host of practical services available? Don’t let the fear that job-hunting will take up a lot of your time prevent you from moving on from a job you don’t see yourself in anymore. Whether you’re thinking of changing workplace due to family, location, education, or health reasons, we’ve got your back. Read on to know how we can help you make that career move using our services. It’s a lot easier than you think. Headhunting Service: Let us support you all the way, until you get hired. We’ve just rolled out our new headhunting service. Previously, we only assist candidates until they apply for jobs. But with this service, our recruiters will support you until you find a new job. The result? We ensure you have a successful career change, based on your criteria, your timing, your preferences. a) Apply for vacancies posted by MIMS Career recruiters. This is one example. an example of vacancy posted by MIMS Career. b) Just immediately contact us here, or on Facebook. Tell us you’d like to inquire about the headhunting service! What makes this feature so special? Like we mentioned, we will support you till you land yourself a new job. Shortly after doing one of the two steps above, our recruiters will get in touch with you. We’ll talk about your preferences, where you’d like to work, what kind of institution, salary, the works. Using our extensive network of healthcare employers, we inquire the ones that match your preferences, and help you set up an interview with the said employer. Also, job opening that would not normally be available on other job portal sites are frequently made available on ours. Such jobs include hard-to-get postings, like nursing in the UK. What if I don’t like the offer? No worries. We’ll look for other opportunities for you. Until you get one that you like, or decide to not use our headhunting service anymore. 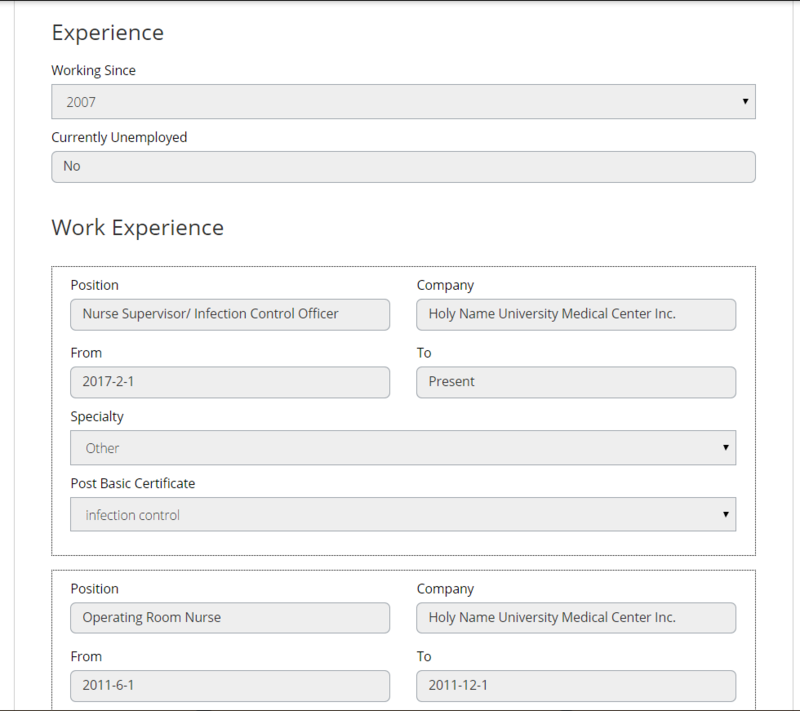 Resume Builder: No more fiddling with templates. Maybe you already know how to make a great resume, but don’t have the time to invest in making one. Don’t fret; MIMS Career now has a built-in Resume Builder. Just input your details onto the intuitive and responsive builder. A well-formatted resume will be automatically generated, and usable immediately on the site. The builder can be accessed here. You’re required to sign in first, though. Active SNS engagement: Get the answers you need, on platforms you love. In keeping with modern forms of communication, the team has a sizeable online presence on Facebook. Healthcare professionals like you may contact us in any way on the platform; write on our wall, or send us a direct message. Our community publishes high-quality stories, articles, and guides worth reading on healthcare-related career development, education, and work-life balance. Working in healthcare is strewn with countless obstacles, tests, and trials along the way. Check out the blog every week for new entries. Who knows, an article or two might give you the strength to get through that difficult day at work, or the courage to change your careers. Head over to the blog’s front page here.